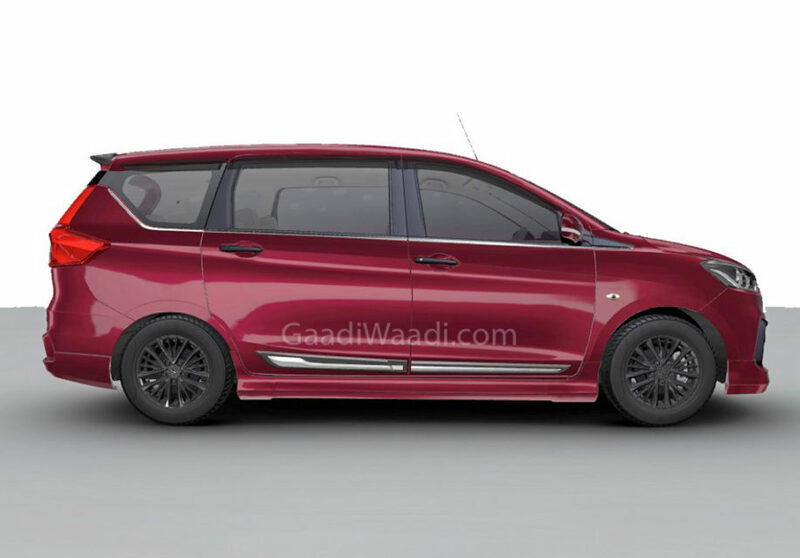 We were the first to reveal that Maruti Suzuki is working on a more premium version of the Ertiga MPV and it will be sold at the Nexa dealerships instead of the regular Arena chain of network. Maruti Suzuki launched the second generation Ertiga with a number of changes in November 2018 and it has received phenomenal response since then. Capitalising on its popularity, Maruti Suzuki appears to be planning to introduce a Cross variant with several upmarket features. The biggest car maker in the country could introduce exterior upgrades to differentiate the Cross model from the regular version. It will likely get sporty body kit, aggressive front fascia with perhaps use of chrome highlights, new colour options, etc. 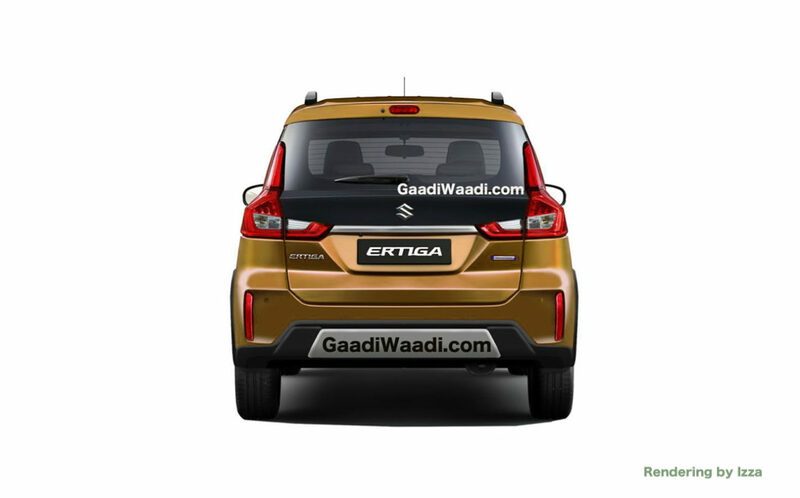 The Ertiga Cross may adorn LED projector headlamps with integrated LED Daytime Running Lights to enhance the overall look while the availability of captain seats for the second row of passengers is another major highlight and it will lure in the customers wanting to be chauffeured around. Bigger sized precision cut alloy wheels could also be present to further elevate the exterior character of the Maruti Suzuki Ertiga Cross. The six-seater is expected to be offered in the 1.5-litre SHVS petrol engine with five-speed manual or four-speed torque converter automatic transmission. The powertrain may not see any change in performance as it is believed to produce 104.7 PS maximum power and 138 Nm of peak torque with the smart-hybrid technology helping in extracting optimum fuel efficiency. The interior is expected to feature leather seat upholstery, contrast stitching and metallic accents. It could get an all black theme with options for customers to personalise individual elements. 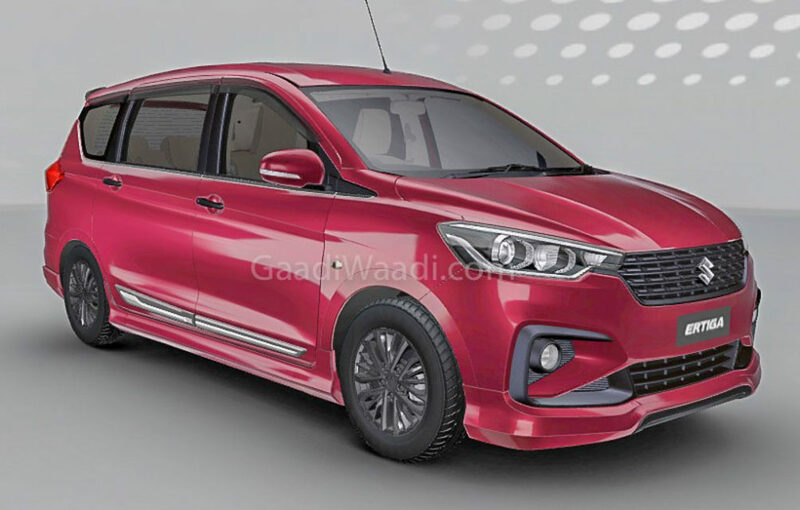 The Ertiga Cross will likely be based on the top-of-the-line ZXi+ variant and thus some of the modern equipment expected inside the cabin are SmartPlay touchscreen infotainment system with Apple CarPlay and Android Auto connectivity, cruise control and so on.